Happy President’s Day!! Is your family home for the day? My hubs has school 🙁 boooo! I wanted to share with you some of my favorite printables on the planet! I started using Jen’s printables from I heart Organizing last week and they are AWESOME!! Best part? They’re free! 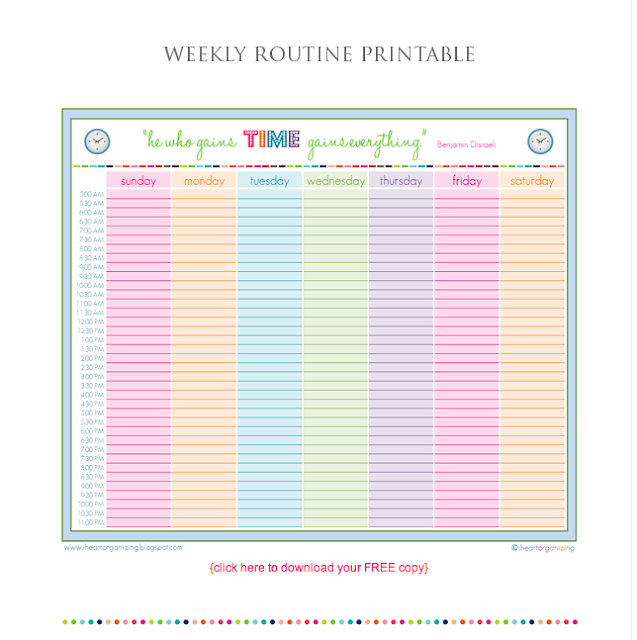 …or you can purchase custom printables in her shop! Go to Iheartorganzing.blogspot.com and click on Free Printables. PS… These are screenshots from her blog. You will have to go to her actual blog to download them! Seriously, check out her blog. If that’s not inspiration for ya, I don’t know what is! She’s got about a gazillion more printables and a million more in her etsy shop! 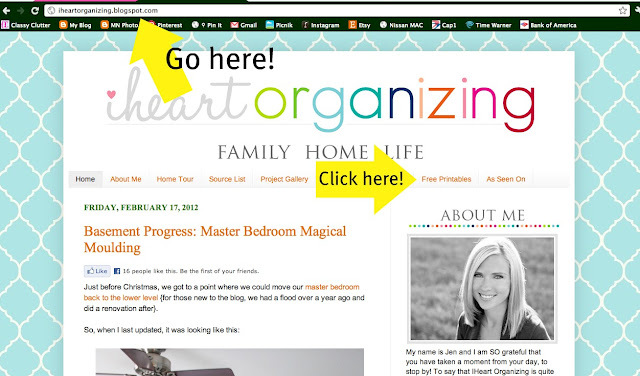 No, I’m not affiliated with I Heart Organizing in any way, I just think her blog is the bomb.com and I’m kind of a stalker! Kidding! …kind of. Now, I’m off to the thrift stores! 50% off the whole store(s) today for President’s Day! I bet yours are having sales too! Go check them out! Wow, I have been on an organizing kick lately- it seems like most in bloggerland have been. 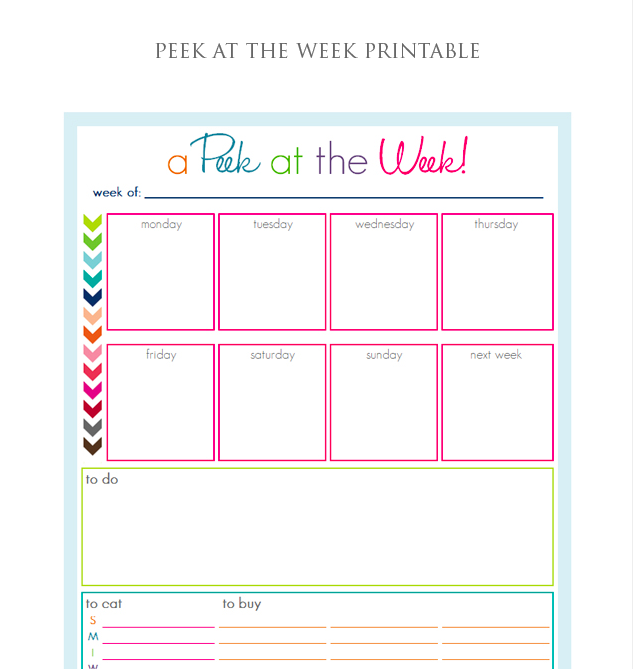 I have to head on over and check out this blog- those printables are too cute! PS: I am still OVER THE MOON about winning the give-away! So excited! THESE ARE AMAZING! I’m not extremely organized at the moment, but when I get my own classroom, I am going to be abusing my printing privileges on these puppies. Ooooh thank you so much! These are adorable! oooh! I love them already! Thanks for highlighting her page. I love organizing. 🙂 and they’re not *boring* organizing pages either! These are adorable! I was actually looking for something like this for my new kitchen!! Thank you!